The two dominant expiring domain services have different models, each with their own pros and cons. There are two big players in the market for back ordering expiring domain names that haven’t entered the deletion phase yet. These are names at registrars that have agreements with auction services to sell the names before they enter pending delete status. The services take two different approaches to how domainers can buy expiring domains and what happens to names they acquire. No backorder is necessary, but investors can add names to their private watchlist. Domains have a set ending time and anyone can bid. If a name gets zero bids, it enters a reverse auction. The timing is such that registrants can still renew their domains after an auction is won. All won names are deposited into winner’s GoDaddy account. Pros: Adding a domain to your watch list does not tip off other investors. No need to deal with backorders and subsequent auctions. All domains entered into one registrar account. Cons: Other investors (and bots) can watch your late bids and enter auctions at any time. It’s typical to have auctions have no bids with five minutes left, then attract multiple bidders. Domains can still be renewed by the previous owner, so your time spent bidding on a domain can be wasted if they renew it. Investors place a backorder by a set deadline. Only people who place a backorder can participate in a three-day auction for the name. If only one person backorders the domain, they get the domain without an auction. Domains stay with the registrar that previously had the domain. Pros: Auctions are limited to people who place backorders, so there’s less last minute sniping. Existing registrants can’t renew after you win the auction, so the winner definitely gets the domain. Cons: Placing a backorder tips off other investors, so the “sniping” happens at the backorder deadline instead of the auction deadline. Domain names you win end up at various registrars rather than just one. Definately 100% GoDaddy model is best . +1. NameJet is one of the dumbest biz models. Much more money would be made if they adopted GD’s model. 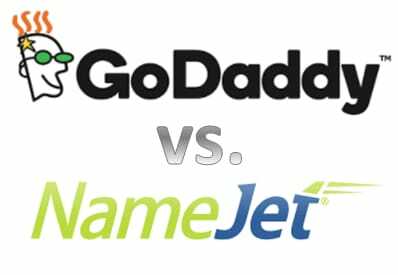 I wasn’t awarded at least 2 domains I won at NameJet after making payment and waited for a month but in the end funds were refunded as that was a private auction so the owner backed out and didn’t deliver the name. Still I see NJ being better since such above cases are very rare unlike at GD where the domain gets renewed every now and then. That’s the most frustrating part using GD auctions as buyer. Private seller is a different ballgame. I hope NJ is cleaning that up after the shill bidding issue. Among other things, making sure people follow through with the sale. I rarely have GoDaddy names clawed back anymore…but others report different experiences. It happens less than before but I have had 2-3 this month clawed back. Great post Andrew. Hard to catch up with expiration flows, since they are frequently changing, so that’s much appreciated. thanks in advance to anyone who may have some insights here!